Bluxury. I'm inventing that word. Budget Luxury. Bluxury. (Note: I'm not calling this Bulls**t Luxury) Is there such a thing? Can almost but not quite still be luxurious? 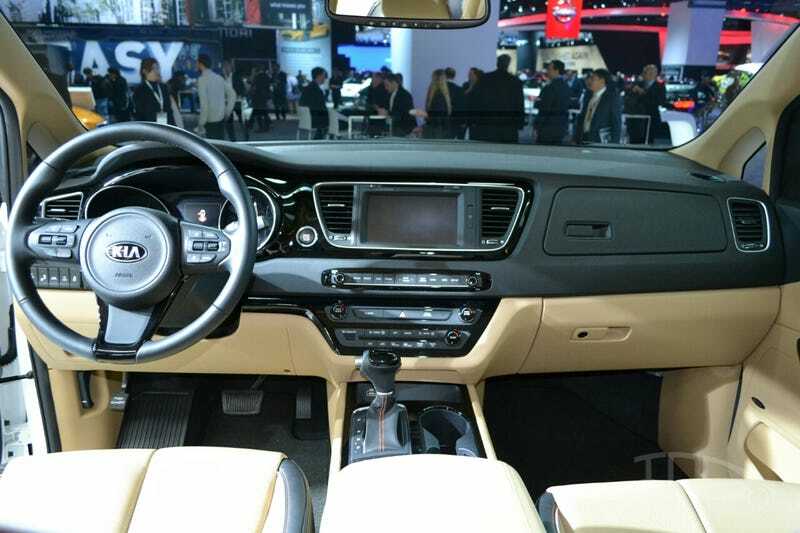 This is the Interior of the new Kia Sedona mini-van, with options. It looks very nice and I am continuously impressed with the Hyundai group's progress and design. But look closely, it will still look cheap in ten years. Like a 2001 Camry with leather seats, that dash will be called cheap plastic after one owner cycle. Perhaps I don't know what i'm talking about, again, but I see these very nice designs and then I see ten years down the line and see old and cheap plastic bits for interior instead of something still good over time. I like what they're doing overall but are the plastic Bluxury bits holding up?